But which brickworks, was it Loftus? 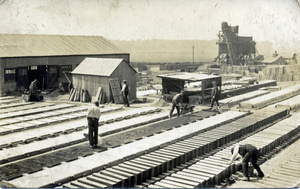 Following a comment from Tony Lynn this is now believed to be a pre-cast concrete works, but where? We are also told by Eric Johnson of a Thomas Eaton who in 1891 was a manufacturer of tiles and bricks in Loftus, but obviously on a smaller scale than shown in this image. The search continues. 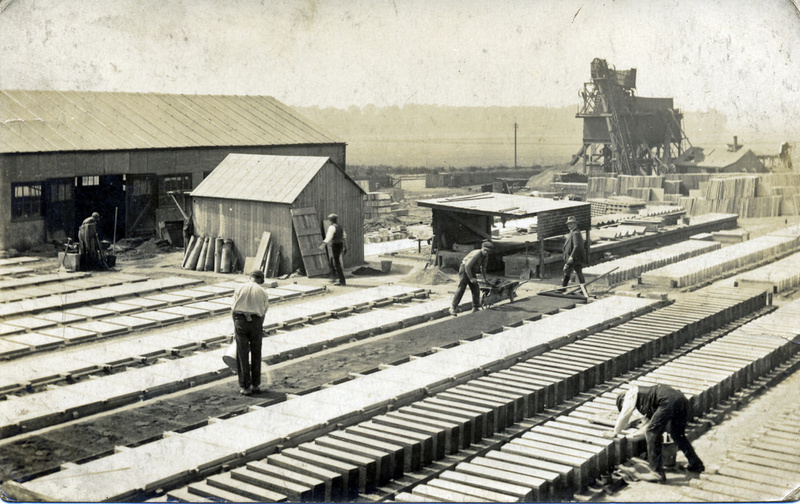 I think this is a photograph of a pre-cast concrete works.